as a slimming and health promoting substance. In a study published in the American Journal of Clinical Nutrition, researchers found that chlorogenic acid from green coffee causes significant levels of weight loss by reducing sugar absorption from the gut and speeding up the rate at which fat is burned in the body. In a four-week trial assessing Coffee Shape, those who drank one cup a day lost 3.5lb in two weeks, and 4.45lb in a month. How does this work? Well, it is reported that Green coffee seems to have three times the amount of antioxidants as green tea. If the unroasted green coffee beans are used in conjunction with a healthy diet it can decrease fat absorption and turn it into energy, which you can burn, instead of depositing it as layers of fat.They help you get rid of the right type of weight, which is fat and not body mass. 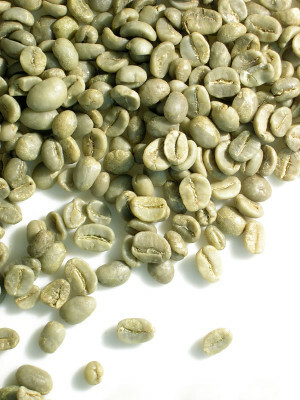 You will find several Green Coffee Suppliers that provide a blend of green bean coffee with normal coffee beans, just so the taste is not altered. HOwever, Sweet Maria's is the one who introduced Green Coffee Beans to the US, and you can find lots of information about buying or growing your own beans, as well as roasting them at home on their website. So, at a top glance, looks like Green Coffee could be your answer to a faster metabolic rate, and definitely an alternative to Green tea, but like any other weight-loss gimmick, this only works for a short time. If you want to stay fit and healthy for your life, you have to stick to a balanced diet and an exercise routine. Otherwise none of these so-called weight-loss charmers will work! Oh wow, this is interesting. I've never heard of this before. I would have thought that green beans would make for some awfully bitter coffee. I guess blending makes all the difference, huh?